This product replaces the older Honeywell Eclipse. 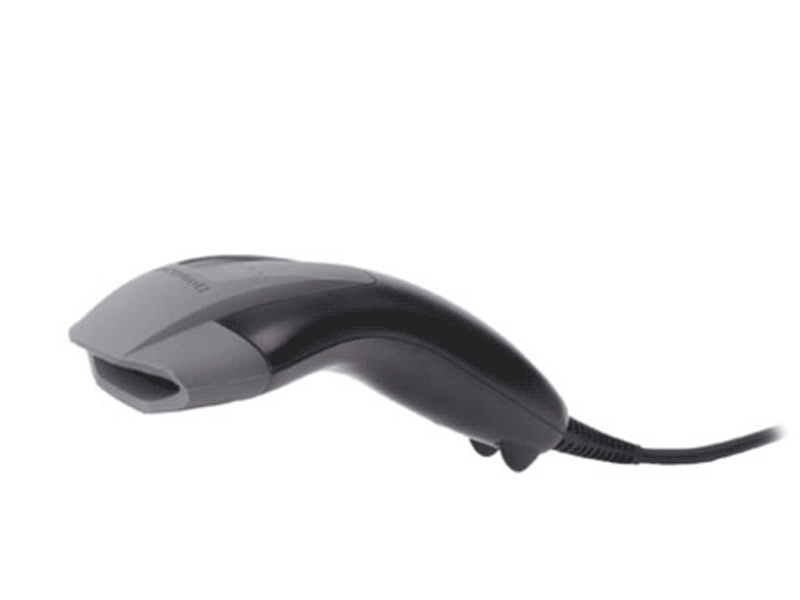 The Honeywell Voyager 1400g barcode scanner offers affordable 1D scanning with optional upgrade to 2D, fantastic for medium volume retailers or businesses wanting to future-proof their operations. Using Honeywell's Adaptus imaging technology and the familiar Voyager design, the 1400g is a great addition for any retail operation. 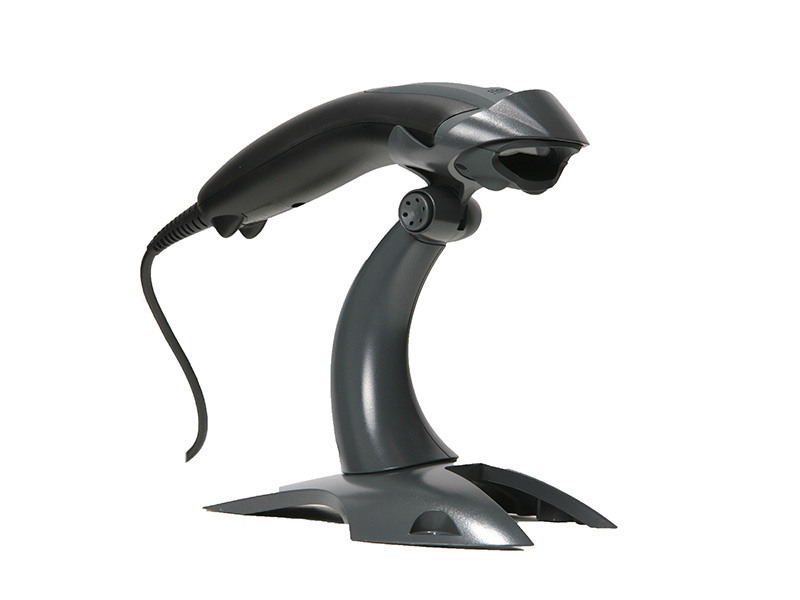 Available with 1D scanning standard and your choice of PDF417 or full 2D imaging, the Voyager 1400g can be updated as needed to add functionality. 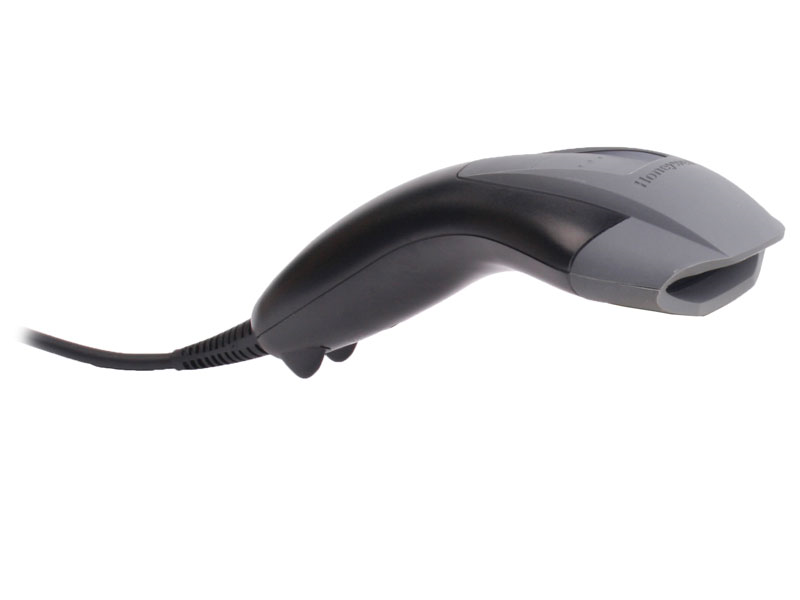 The barcode scanner can read standard UPC barcodes from about a foot away and at any orientation, making retail scanning a snap. 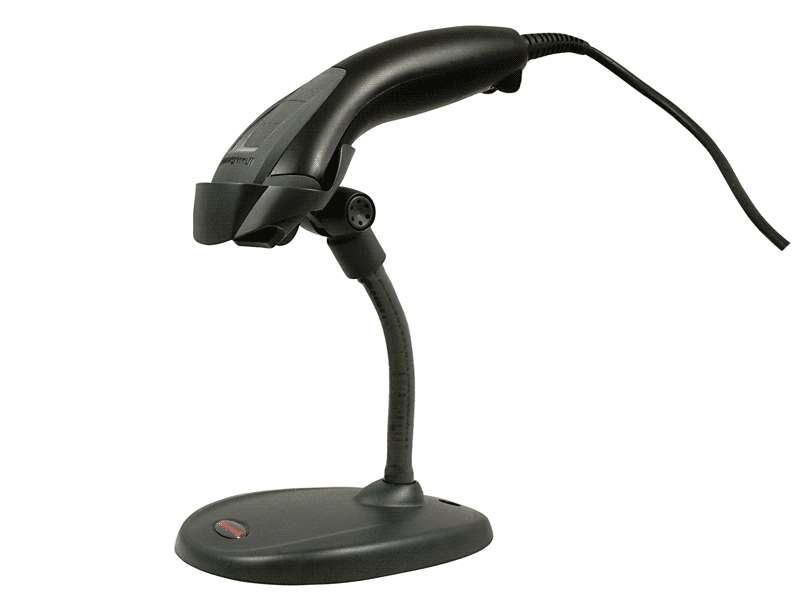 When placed in the auto sense stand, the Voyager 1400g automatically switches to presentation mode, giving you a great handheld and hands-free scanner in one unique body. Dimensions 1.7" x 7.1" x 2.6"
Typical Depth of Field 5.0 Mil Code 39: 1.1" to 3.5"
13 Mil 100% UPCA: 1.0" to 9.8"
20 mil Code 39: 1.2" to 13.7"
6.7 Mil PDF417: 1.0" to 3.5"
10 Mil Data Matrix: 1.0" to 3.7"
20 mil QR: 0.6" to 7.7"
The Voyager 1400g has the same sleek design as the 1200g, but with the added bonus of 2D scanning if you need it. Barcodes on LCD displays can be scanned with ease, making this a great choice for mobile couponing or customer loyalty programs. Find it faster! Click here to compare Voyager 1400g models by feature. Hi this is Travis with POSGuys.com today we're taking a look at the Honeywell 1400g Voyager. This their latest version of the Voyager and it adds in an imaging technology. This Voyager is available in a 1D model, a pdf417 capable model and a full 2D capable model. 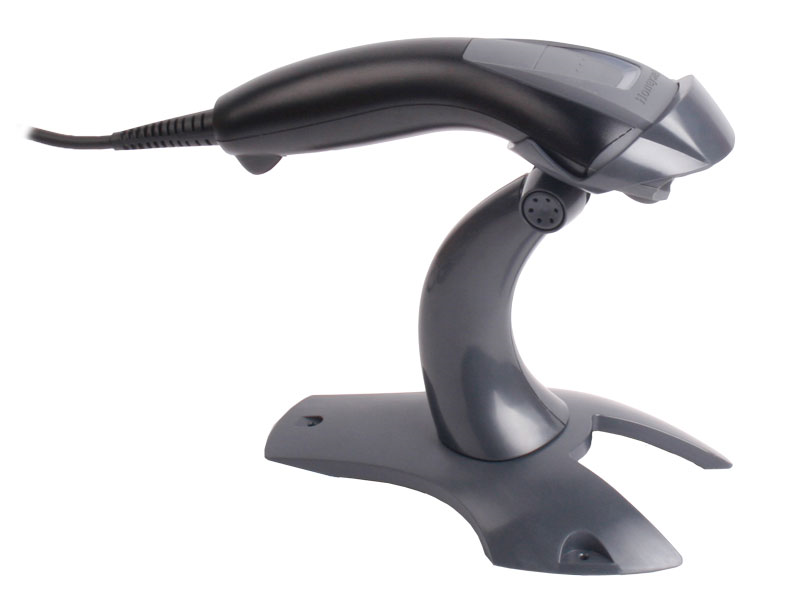 With the imaging technology you get the ability to scan different types of barcodes. You also get the ability to scan at different angles. In the older Voyager you had to be lined up across the bars but this one you can scan at all kinds of angles. The scan range on it is decent, you can from almost contact out to about a foot. You also get light immunity since it is an imager. The spotlight does not affect it at all. With the newer stronger scan engine you also get more durability so the IP seal is a little bit higher on this as well as the drop spec. It is still a five foot drop spec but they were able to drop it 30 times without any problems. Your stand options, you have the rigid stand that's available in the current Voyager. You also have a Gooseneck stand that adds a little more flexibility if you want to go that way. Price range without a stand starts at $209 for a 2D model and $223 for a version with a stand. It comes with a five year warranty. It is available in dark grey and white. For more information please visit us at www.POSGuys.com.